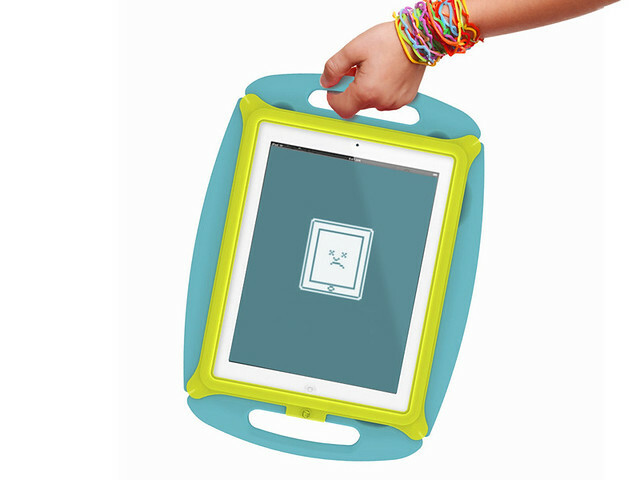 For gaming and play, a protective, kidsafe case, the MyKidPad, thoughtfully designed to fully protect your Apple iPad 2-3. Coming soon! With Christmas being the focus parents are shopping for gifts they can put under the tree. We have decided to take this great, patent pending product out of the running for now, we did this considering our projected delivery date falls after the holidays. and kids just don't wanna wait! The MyKidPad has gotten glowing reviews in the press, (Fast Company -- http://www.fastcodesign.com/1665462/mykidpad-makes-your-ipad-childproof-but-still-fun) but at the same time we also have gotten many inquiries about the upcoming iPad 3, will the MyKidPad work? From what we understand, by the leaks and speculation, the iPad 3 will probably be the same form factor and screen size, slightly thinner and should fit perfectly with subtle modifications. As my:brand is a startup, and not a mega corporation, and above all the MyKidPad is a labor of love for myself, Regina and Mara, we want to be sure, that it can be used for both the iPad 2 and 3. When the iPad 3 hits the market, we will relaunch the MyKidPad and begin again on our investment in further prototypes and machining the molds, etc. 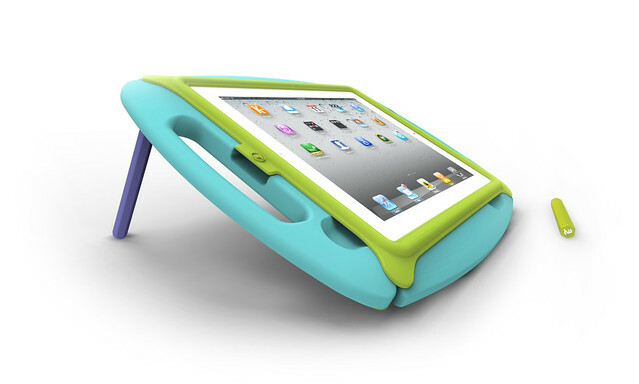 *We care about your child's safety: The MyKidPad Case is designed for use by children ages 4 to 10 years old. Any use by children under 4 years old is not recommended. iPad, iPhone and iPod, Apple logo and Apple are registered trademarks of Apple Inc. The iPad2 is available from Apple, Inc. and is not included unless specifically indicated. Give a buck - Get a thank you! You've made all the difference in the launch of this essential product! YOU’RE AWESOME! Get an iPad 2 (16GB with Wi-Fi - *$499 value, available in black or white), with one signed and numbered limited edition MyKidPad case in your fave color combo, a "fingerprint - peanut butter and jelly proof" screen protector, our colorful anodized aluminum stylus, our storable multicolored supports for angled viewing/play, a MyKid cool 100% organic cotton t-shirt, and our recent compilation of the best rated edutainment iPad kid apps brochure. Includes shipping within the USA. This offer is available only in the USA. (for Canada and other countries please contact thomas@idiom-plus.com) *NOTE: in the USA your new iPad 2 will ship to you directly from Apple, if you would like a different configuration please contact thomas@idiom-plus.com directly, we will figure something out.